This is the fresh and light scent i have been looking for in a summertime scent. 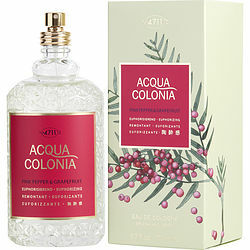 4711 aqua colonia pink pepper and grapefruit eau de cologne is a lightly spiced fragrance for the warmer weather, though i think it would also be great for those winter special occasions. I would like to try the other scent they offer and will do so shortly.